Part of the build up to the WAVES 2nd Anniversary on July 30, 1944? Making sure the WAVES were in the news. 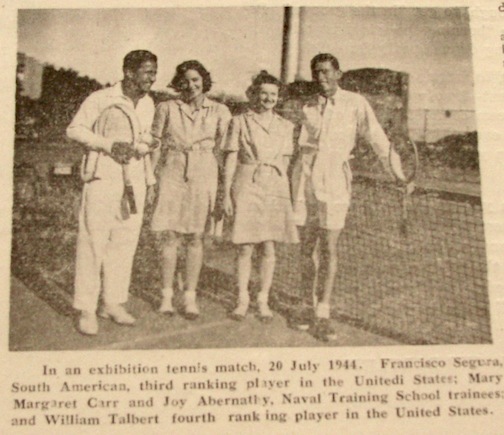 So on July 20th, 1944, the Navy held an exhibition tennis match with two pros: South American Francisco Segura and American William Talbert. They kindly posed with a couple of WAVES-in-training after the match was over. This photograph was published in the WAVES Newsletter.